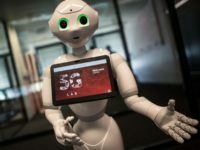 Britain’s Defence Secretary has articulated “grave, very deep concerns” about the role of Chinese tech giant Huawei in the forthcoming roll-out of the fifth-generation (5G) mobile data network, because of the leverage and access Huawei’s equipment and software could potentially give to the Chinese government. 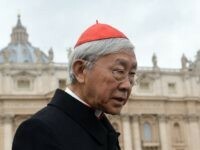 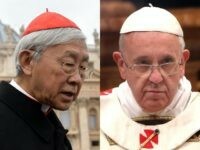 China’s most famous civil rights activist has joined the chorus of critics who have denounced the recent deal between the Vatican and Chinese Communist Party (CCP) as a “betrayal” of Chinese Catholics. 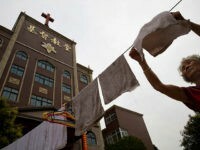 Government officials arrested a bishop of the “underground” Chinese Catholic Church on Friday, sentencing him without trial to a period of “isolation and indoctrination” following the signing of an accord between the Vatican and the Chinese Communist Party (CCP). 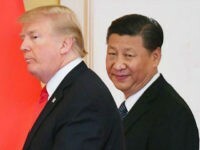 China’s Global Times on Sunday editorialized on the importance of the U.S. midterm elections, recycling a few American mainstream media narratives and bromides to conclude the fractious United States is less stable and reasonable than authoritarian China. 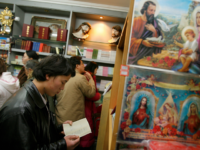 Chinese authorities demolished two Catholic pilgrimage sites dedicated to the Virgin Mary just weeks after the Vatican signed a deal with the Communist Party over the appointment of bishops. 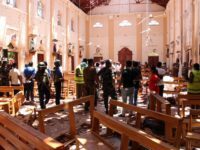 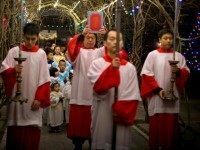 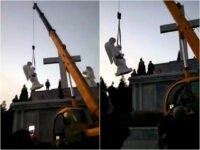 The Chinese Communist Party (CCP) has intensified its crackdown on Christian symbols, removing several more crosses from churches this month. 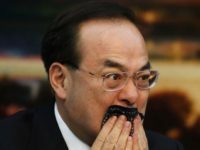 Sun Zhengcai, formerly one of China’s rising political stars and a possible successor to President Xi Jinping, completed his fall from grace on Thursday by pleading guilty to taking $27 million in bribes between 2002 and 2017. 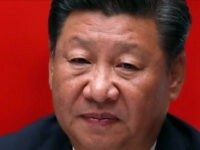 Chinese state media reported Monday that a new round of “discipline” inspections began this weekend, seeking to stamp out graft, inappropriate behavior or any threat to Xi Jinping’s totalitarian rule within the Chinese Communist Party (CPC). 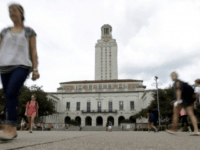 The University of Texas at Austin declined a financial donation from a Hong Kong-based foundation because of the group’s reported links to the Chinese Communist Party. 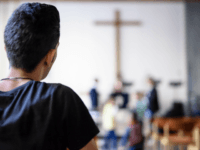 College officials also voiced concerns the intention behind the monetary offering was to influence activities and academia at the flagship campus. 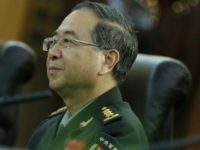 China’s state news agency Xinhua confirmed on Tuesday that senior general Fang Fenghui will face charges of bribery before a military tribunal. 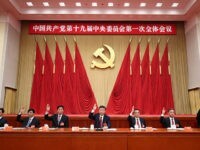 Fang disappeared from the public eye in September 2017, right before the Communist Party’s national congress. 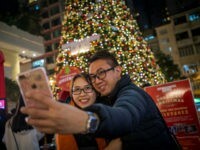 China’s state newspaper the Global Times reported Wednesday that Communist Party officials in some municipalities have banned members from “celebrating” Christmas in yet another way to fight an alleged “cultural invasion” of China by the West. 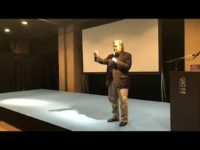 Chinese Communist Party newspaper Global Times is not a fan of Breitbart News Executive Chairman Steve Bannon’s address to Japan CPAC on Sunday. 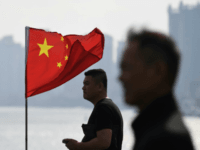 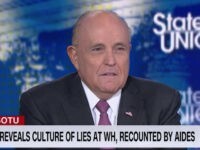 In an editorial published Monday evening, the Chinese paper castigated Bannon as a “fanatical populist against globalization,” whose “siren call to constrain China is poisoning U.S. society’s understanding of relations” with the communist nation. 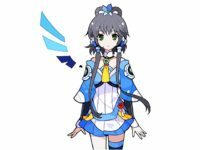 The Chinese Communist Youth League has co-opted a popular hologram pop singer as its “youth ambassador,” noting that fictional holographic pop stars are “pure as lilies” and easier to manage than people, who “make their own decisions” and may choose at any moment to contradict the Chinese government. 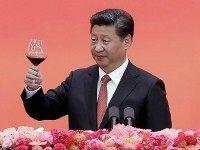 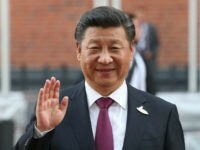 It might not seem all that unusual for the state-run media and party organs of a one-party authoritarian country to fawn over the current national leader, but Chinese media has gone way overboard in praising President Xi Jinping after his elevation to near-dictatorship at the last Communist Party Congress. 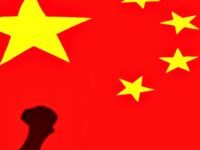 In the West, China’s cries for “socialism with Chinese characteristics for a new era” have mostly been met with confusion. 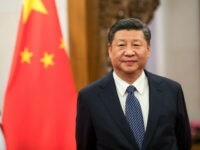 “Xi Jinping Thought” has officially become part of the Chinese Communist Party (CPC) Constitution following days of codifying a three-hour speech by the Chinese leader asserting that “Socialism with Chinese characteristics” should replace Marxism. 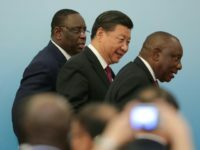 Chinese official Liu Shiyu, who is the head of the China Securities Regulatory Commission, told a panel at the Communist Party Congress in Beijing on Thursday that several high officials were caught plotting to overthrow President Xi Jinping and seize power for themselves. 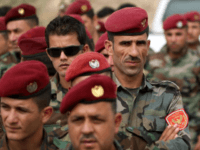 Center for Security Policy President Frank Gaffney joined SiriusXM host Alex Marlow on Wednesday’s Breitbart News Daily to talk about Kurdish independence in Iraq, the Iran nuclear deal’s continued survival after decertification, and the rising strategic threat of China.